Pilot John Hardin has a dark past and a habit of getting into lethal troubles. 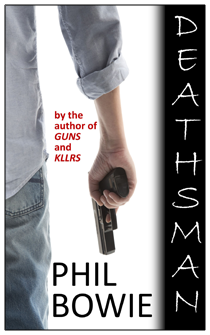 In DEATHSMAN, set once again in the Great Smokies, John and Cherokee girlfriend Kitty Birdsong are pitted against a gangster who wholesales synthetic drugs, and a shadowy hit man named after the professional executioners of centuries past. Pilot John Hardin has a dark history. He and his Cherokee girlfriend, Kitty Birdsong, are enjoying life in the Great Smoky Mountains when Nolan Rader, a former BATF agent, emerges from John's violent past and demands help to save his younger brother, Clint, from the vengeance of the Satan's Ghosts outlaw motorcycle gang. A warped genius called Brain controls the Satan's Wraiths, an elite cadre of trained hitters within the gang, and Brain is privately conducting psychological research on Clint prior to killing him. John must agree to help Nolan Rader or face exposure about his past, and the only way to save Clint is to infiltrate the gang, leading John down a lethal path between the law and the outlaws, ranging from Canada to the Bahamas. As the execution draws near, can John save Clint Rader before time runs out? — Stephen Coonts, NY Times best-selling author. A century and a half ago, just before the Cherokee people were driven at bayonet-point from their ancestral Great Smokies home to the Oklahoma reservation, they hid their gold mines. Four thousand died on that infamous Trail of Tears, and their secrets died with them. Now, solitary prospector Moses Kyle discovers one of the ancient lost mines. And disappears. Among those looking for Moses and his discovery are pilot John Hardin and Cherokee biker Kitty Birdsong. 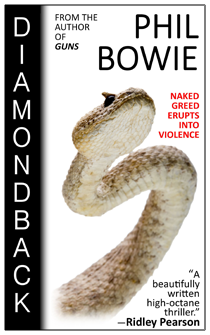 But also on the hunt in the misty folds of the Blue Ridge is a murderous family clan rooted in the worst kind of evil, along with a group of cult members led by a fanatical snake-handling preacher. When naked greed erupts into violence, John and Kitty must fight for their lives. — Ridley Pearson, NY Times best-selling author. Sam Bass is tall and lanky, loves old western movies, wears cowboy boots, and drives a battered Wrangler. He's a pilot running a shoestring charter operation on remote Ocracoke Island, living a quiet life with his girlfriend, Valerie Lightfoot. When Sam helps make a dangerous rescue of a couple lost at sea, he gets publicity he doesn't need. A powerful enemy now knows where he is and sends a hit team to finish old business. Sam, Valerie, and her young son, Josh, become the focus of evil. The only response is a trail of just vengeance as ancient as the ghosts of the Smoky Mountain Cherokees. The bloody hunt is on . . .
"Fast. Engaging. A fine debut." 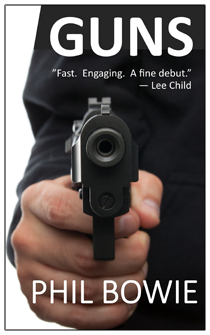 — Lee Child, number one international best-selling author of the Jack Reacher series. 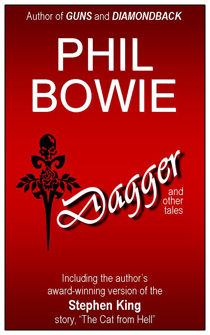 This collection of 17 Phil Bowie short stories in several different genres is gathered from a lifetime of writing. Each is prefaced by a brief explanation of how it came to be. "A strong pick for general short story collections." 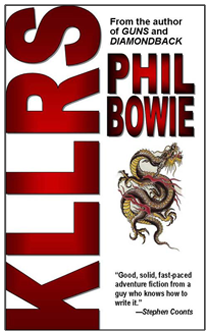 "As with anything Phil Bowie writes the phrasing is impeccable . . . you will be impressed . . . a good collection by a gifted storyteller." A health crisis turned out to be inspirational for the author. A firm believer in a higher power but a long-time skeptic concerning the believability and practices of humankind's many organized religions, he has gathered a lifetime of experiences and thoughts, and hard evidences from the best and brightest minds on the planet in the writing of this book. 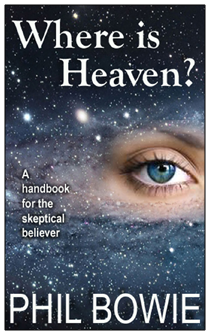 If you've ever doubted what you've been taught about religion and the Bible, Where is Heaven? will give you some fact-based answers you can firmly believe. Among other observations, it will suggest where heaven really is. NOTE FROM THE AUTHOR: It is not my intent to alienate anyone. If you hold strong convictions within any religion and you harbor no doubts, I sincerely respect that, and this book is probably not for you. "I've never read a book before that seemed to be tailor written for me. Or maybe I just never realized there were other skeptical believers out there that had the same questions I did and do. Apparently Phil Bowie did have that realization and he's given us all a book to be proud of."